The MMF Heritage Cash Drawer improves on the design of the previous ECD200 and MCD240 models by implementing a quick disconnect cable. This allows for easy and unified installation in businesses with various receipt printers. It also offers traditional features like dual media slots, fantastic for acceptance of non-cash payments without opening the cash drawer. Back by popular demand, the Heritage series is a tough and hardy option for an environment where cash drawer use is heavy. 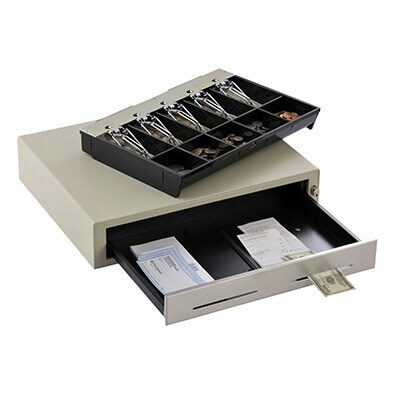 If you need a drawer that you won´t have to worry about, one that will hold what you need and communicate to your current equipment, you won´t need to look much further. * Certified free of defects in material or workmanship under normal use and service, if online registration by end user is submitted within 30 days of purchase on cash drawers manufactured after August 8, 2011 and is approved by MMF. If online registration is not submitted a 5 year limited warranty will be automatically in place. 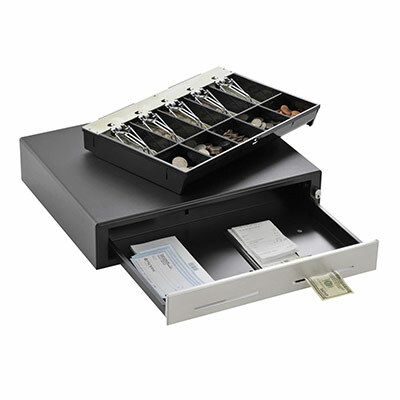 Click here to register the Heritage 15" cash drawer.